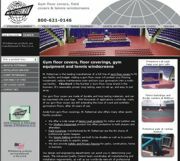 M. PUTTERMAN & CO. is a leading manufacturer of gym floor covers, athletic field covers, tennis windscreens and backdrop curtains, sports netting, and protective padding. Since 1920, Putterman has manufactured its products in the United States for the world. Service to customers is a key element to the company's success. PLAYWORLD SYSTEMS® provides recreation for all ages. From innovative and fun playgrounds for kids to LifeTrail™, a revolutionary new approach to fitness for active older adults, Playworld Systems® is a recreation company you can trust. Its playgrounds let kids safely enjoy play activities on the ground and in the air, while LifeTrail™ incorporates upper- and lowerbody exercises during a normal walking routine for older adults. CHILDFORMS® offers a high-quality, cost-effective surfacing solution for your playground. The Child Turf™ recycled-rubber safety surfacing, 8-inch-by- 12-inch Funtimbers and ADA Accessible Ramp System help you create a safe and ADA-accessible playground for children of all ages. 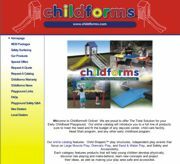 Childforms® also offers a complete line of playground equipment, including ChildShapers™ play structures and independent play events for preschoolers, as well as great additions for playgrounds for children up to 12 years old. RMT AQUATICS offers a full line of portable and semi-portable battery-powered pool lifts that accommodate virtually any pool or spa configuration. The user can independently operate the lifts with the easyto- follow, waterproof remote control. The lifts are an effective solution for those who have multiple pools and spas, as well as for those who wish to store lifts when they're not being used. RMT Aquatics lifts are 100-percent ADA-compliant. WOOSTER PRODUCTS is a manufacturer of a complete line of anti-slip stair treads and walkway products. It manufactures heavy-duty safety renovation stair treads, anti-slip safety coatings and nonslip safety tapes to help improve safety on most stairs and walkways. SPORTMASTER multisport asphalt and concrete surfacing products feature 100-percent acrylic resins to ensure long-term protection in all climate conditions. Attractive colors and specially engineered textures produce a surface that provides enjoyment and performance for years to come. 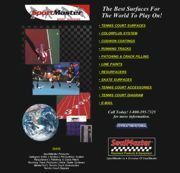 From tennis court play to the rigors of competitive inline hockey, SportMaster sport surfaces provide an optimum surface. The nationwide and worldwide network of professional sport surfacing contractors is available to provide on-site recommendations and application services. In the next few years, you may be held liable for the skin cancer of your outdoor employees. Litigation and legislation on the topic has already begun. On this ROCKY MOUNTAIN SUNSCREEN Web site, you can click on reports for a copy of the California legislation and free informational reports to help protect your employees from developing skin cancer. When you're looking for picnic tables, park benches, grills and any other site amenities, go to the WEBCOAT PRODUCTS Web site. The comprehensive site will help you with any questions you may have concerning your purchasing needs. By simply clicking the link on the homepage, you can view the entire catalog, which includes full-color photos, product model numbers, product descriptions and pricing. Besides seeing the catalog, you can request quotes, place orders and contact a customer-service representative with questions.